Just when we think the tech gods have come up with everything, they invent something new that blows us away. 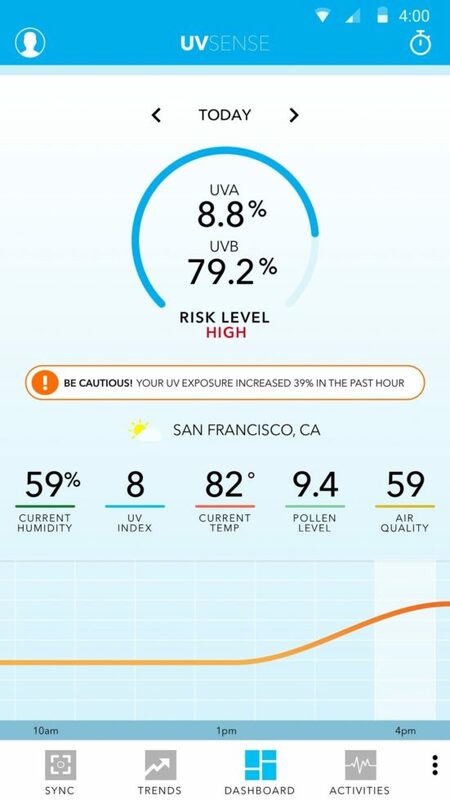 Now, there’s a device that tracks your exposure to UV rays and will tell you when to reapply your sunscreen. Nothing short of amazing, right? It’s called UV Sense and was on hand — literally and figuratively — at the 2018 Consumer Electronics Show (CES) in Las Vegas this January. So, how does it work? 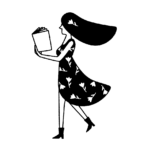 Just wear the pea-sized device on something like a fingernail, your watch, or your shoes — anyplace that gets exposed to UV rays. And, yes, UV rays exist in winter, too, so it’s not just a product for the warmer months. 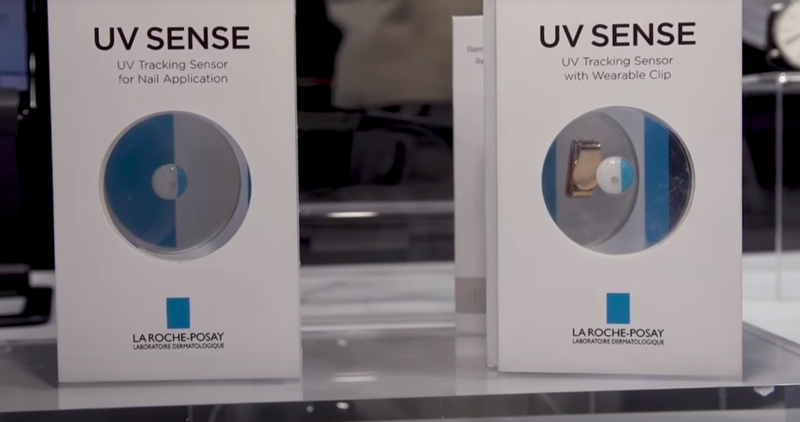 L’Oréal developed UV Sense as part of their My UV Patch wearables. They first released My UV Patch back in 2016 as a La Roche-Posay product. Whereas that product was a stretchable skin-borne sensor to help keep track of UV radiation, the tiny new incarnation is much, much more. Of course, a lot of new and cool inventions debut at CES every year. And hopefully, we’ll see many of them on store shelves and in our lives in the near future. For instance, a smart swimsuit debuted at CES this year too. With Spire Health Tag integration, swimmers can track, log, and analyze data from their swims — all just by wearing a suit with the tag. We’re sure those swimmers would also love this new UV Sense technology to stay safe in the sun. UV Sense sounds like just what we need. "We set out to create something that blends problem-solving technology with human-centered design to reach even more consumers who require additional information about their UV exposure," Guive Balooch, Global Vice President of L’Oréal’s Technology Incubator, said in a press release, according to Cosmopolitan. The 9-millimeters-in-diameter device does seem to be the perfect solution for those times when you forget to reapply sunscreen. There’s also a UV Sense app. The device tracks your UVA and UVB exposure levels. Then, it syncs the info to a corresponding app to let you know where you’re at. 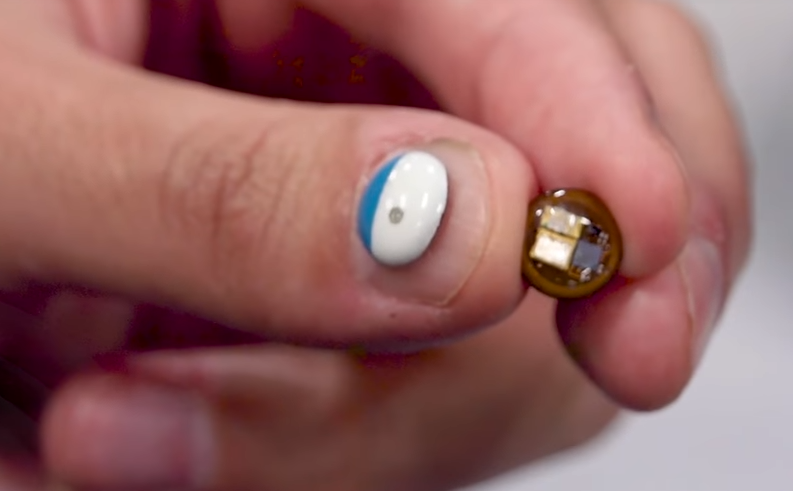 Each battery-free sensor can be worn for up to two weeks. And if you’d like to see exactly how UV Sense works, check out this short video. If you’re wondering where you can buy UV Sense, it’s not out quite yet. According to CNET’s YouTube video, it’s coming to dermatologists’ offices in 2018 and will be sold to the public in 2019. But there is good news: They won’t cost more than $40. We can’t wait. Because when it comes to sunscreen, having a reminder on hand — literally — is key.